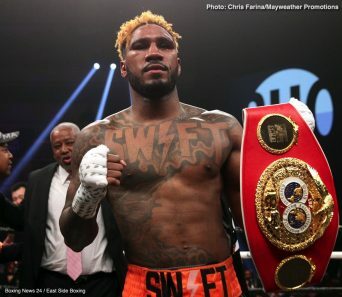 A 12th round knockdown by IBF junior middleweight champion Jarrett ‘Swift’ Hurd (22-0, 15 KOs) was the deciding factor in his 12 round split decision victory against a very tough WBA Super World junior middleweight champion Erislandy ‘The American Dream’ Lara (25-3-2, 14 KOs) on Saturday night in their fight on Showtime Boxing at the Hard Rock Hotel & Casino in Las Vegas, Nevada. 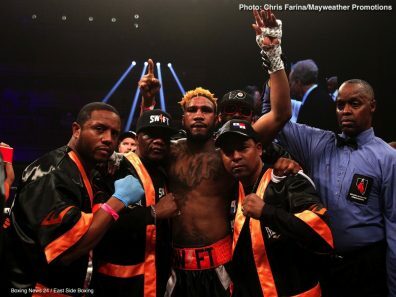 Hurd surprised the already worn out 34-year-old Lara with a furious all-out assault in the 12th round. 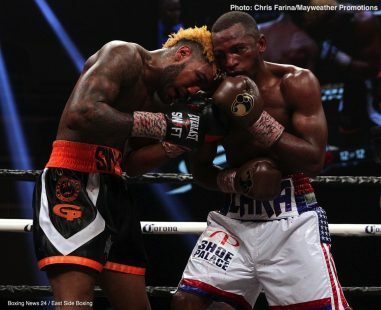 Lara tried his best to withstand the assault by answering back with his own sharp punches, but he was no match for the high volume attack from Hurd. 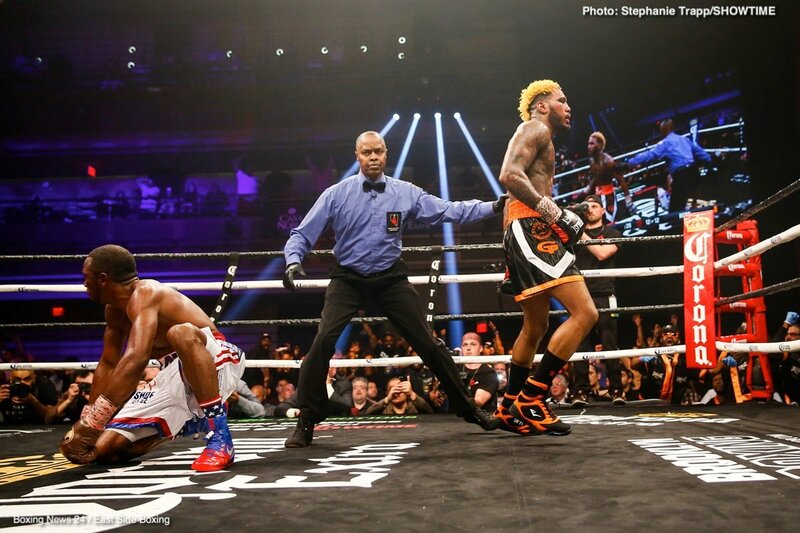 In the final 30 seconds of the round, Hurd landed a hard left hand that knocked Lara down on the canvas. A badly shaken Lara got back up, and was able to fight back enough to finish out the final seconds of the round. 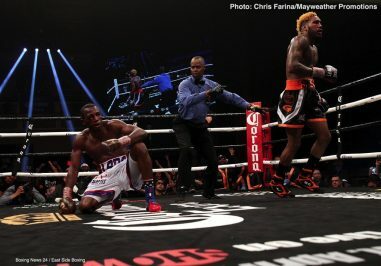 But if the knockdown had occurred earlier in the round, it’s unlikely Lara would have been able to withstand the nonstop heavy punches from Hurd. 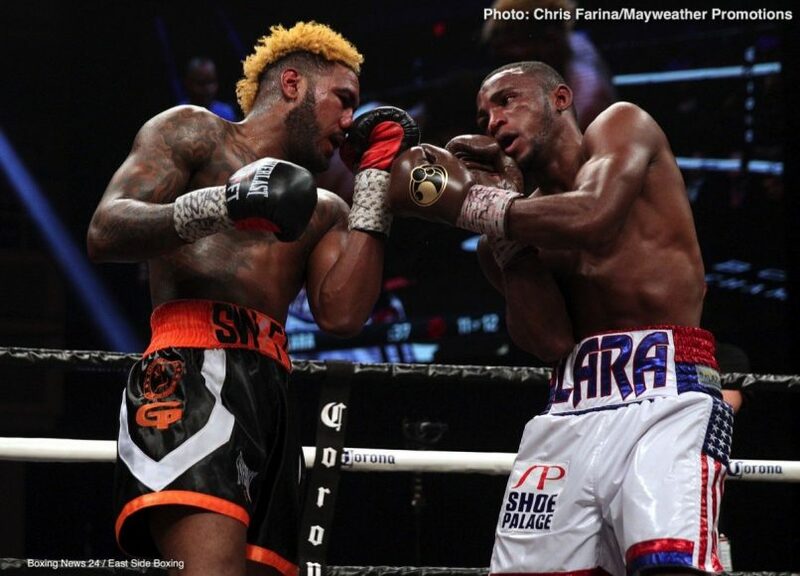 The scores were 114-113, 114-113 for Hurd, and 114-113 for Lara. 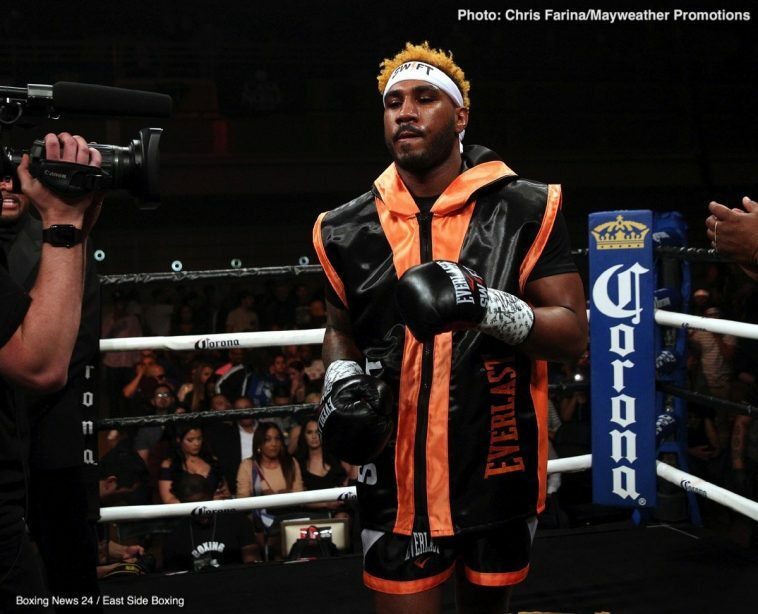 Boxing 247 scored it for Hurd 8 rounds to 4. Hurd took over the fight after the 7th, and he looked like a completely different guy than he’d been earlier in the fight. 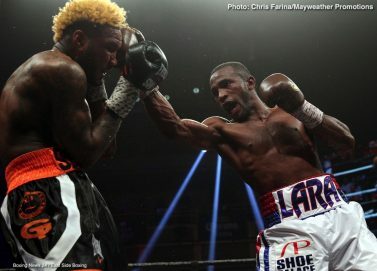 Lara tried to keep up with the constant shots that Hurd was throwing, but he couldn’t do it. 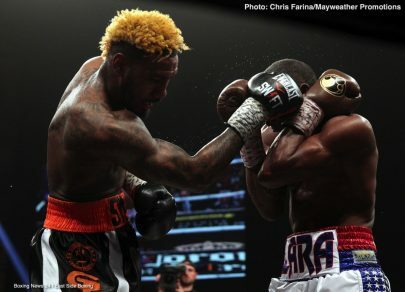 Hurd was crowding Lara, hitting him with uppercuts one after another, and body shots on the hips. Lara had started off the fight moving well, but Hurd took his legs away completely with his body punches. 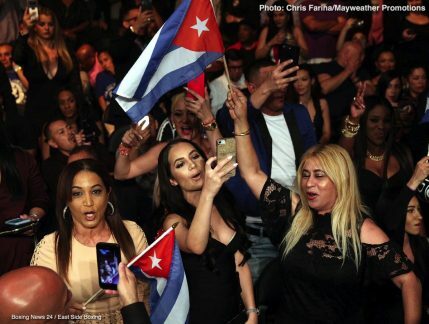 This wasn’t the Lara that had run from Saul Canelo Alvarez for 12 rounds in 2014. 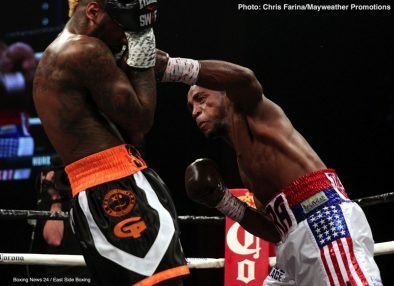 Hurd didn’t allow Lara to run, because he put a lot of attention in attacking his midsection with power shots that wore him down to the point where he couldn’t run. ”I was in control the whole fight. 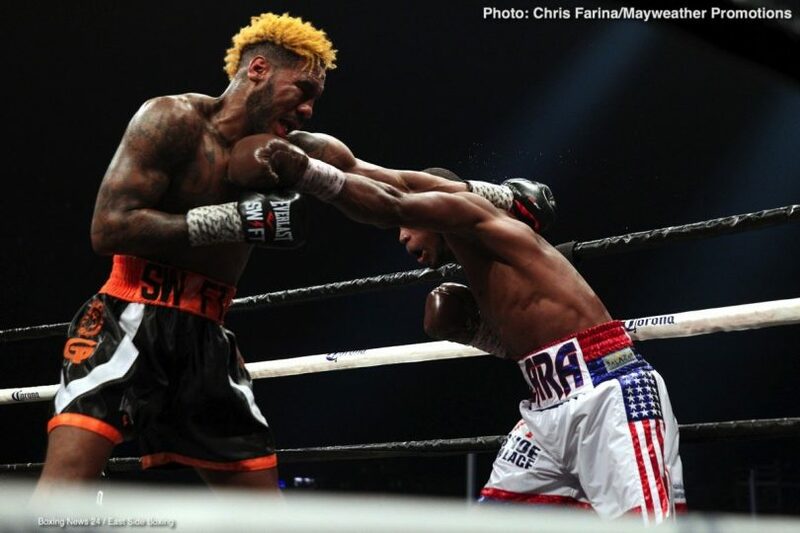 I got the knockdown,” Hurd said. Hurd was the better fighter down the stretch, but he wasn’t in control the entire contest. 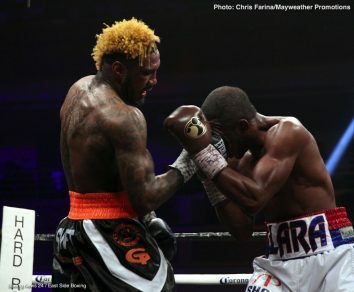 Lara was getting the better of the action through the first 6 rounds, and that was mostly because Hurd was being too patient and not attacking him at a speedy enough pace to wear him down. 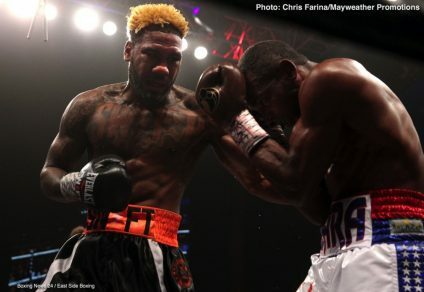 But the fight changed though starting in the 7th, and that’s when Hurd began to really nail Lara with punches that caused his left eye to swell. 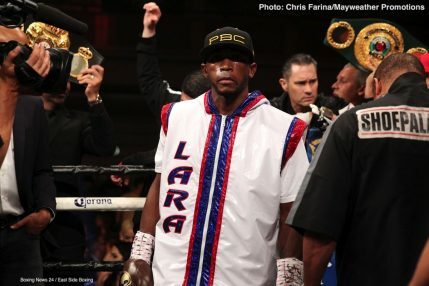 Lara looked like he was being hunted in the last 5 rounds. 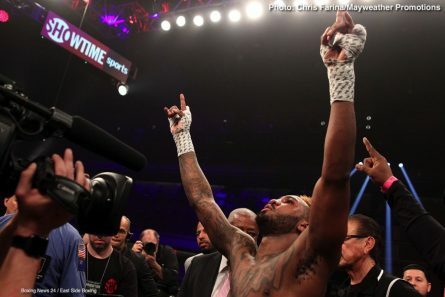 He wasn’t panicking the way Austin Trout had when Hurd began to walk him down in the second half of their fight last October. 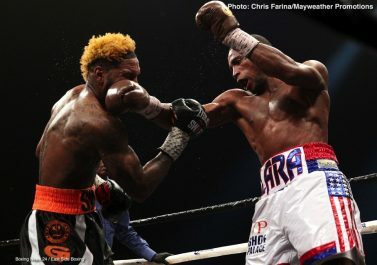 Lara stayed calm and continued to fight hard, but the size, power and the high work rate for Hurd was too much for him. 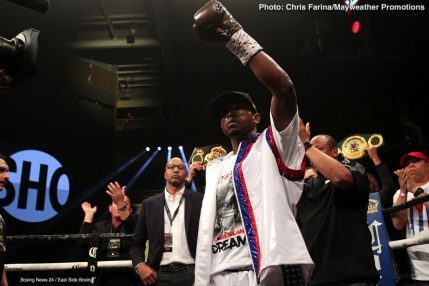 ”Besides falling in the last round, I felt I was winning the fight easy,” Lara said afterwards. ”That [one punch] didn’t decide the fight. I was winning the fight. 100%, I want the rematch. The problem was the eye. I couldn’t see,” Lara said. Lara didn’t exactly fall in the 12th. He was put on the canvas by a left hand from Hurd. Lara is in denial if he really believes he was winning easy. There was nothing easy about this fight for either fighter. 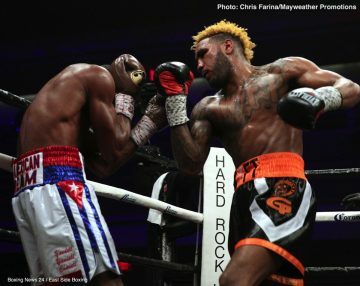 This was a grueling fight for Lara and Hurd. It’s just that Hurd had the better engine and the superior power. Those were the telling factors in the fight.